Wildlife in Madhya Pradesh has been a concealed treasure since ages. The state is known for being home to some of the largest and the most popular wildlife sanctuaries and national parks in India. On one side, Madhya Pradesh has the famous Pench National Park - the home of the popular fictional character we all grew up watching, ‘Mowgli’ from 1894’s ‘The Jungle Book’. 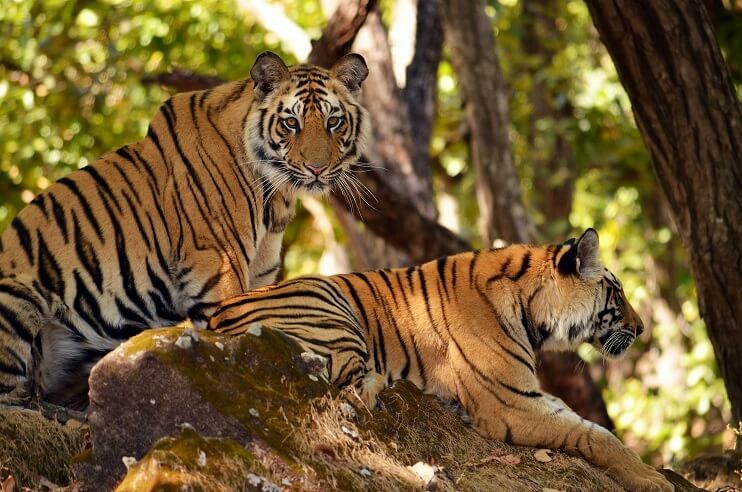 Whereas, on another side, there is Bandhavgarh National Park which holds the record of the maximum tiger population in any a wildlife park in Madhya Pradesh. Being one of the richest wildlife states in India, there are numerous interesting facts about wildlife in Madhya Pradesh that you would love to know about. In this blog, I am going to talk about such amazing facts about Madhya Pradesh’s wildlife. So, hang on till the end of this blog. In total, Madhya Pradesh has 10 national parks (most in any Indian state and Union Territory), 25 wildlife sanctuaries (6th on the list of Indian states with most wildlife sanctuaries) and 6 tiger reserves (joint most in any Indian state; the other being Maharashtra). On 25 January 1973, The Wildlife Protection Act 1972 was first enacted in the state of Madhya Pradesh. Madhya Pradesh is the fourth largest Indian state in terms of the total wildlife area. Combining all the national parks and wildlife sanctuaries of Madhya Pradesh, the total area of the state is around 10823.77 sq km. Above Madhya Pradesh are the states of Gujarat with a total area of 17098.54 sq km, Jammu and Kashmir with 14168.11 sq km and Andhra Pradesh with 12987 sq km of area. The largest national park of Madhya Pradesh, Kanha National Park has its mention in the worldly-famous novel of 1894, The Jungle Book, which was written by Rudyard Kipling. Karera Bird Sanctuary is home to three of four species of the famous Great Indian Bustard, locally known as Son Chidiya. This endangered avifaunal species is largely found in the countries of India and Pakistan. An amazing thing to know about Madhya Pradesh wildlife is that the world’s first White Tiger - Mohan, was spotted in Rewa, Madhya Pradesh in 1951. An incredible fact associated with Madhya Pradesh wildlife states that in the year 2016, the state of Madhya Pradesh was amongst those few states where casualties to elephants and tigers in train accidents were reported. However, the interesting thing to know here is that, in that list, Madhya Pradesh was one of those states with minimum numbers of casualties. A fact that worth praising the efforts of the state’s wildlife towards the safety of these animals, isn’t it? Similarly, another data of 2016, revealed that in the last three years no human death was caused because of elephant attack. Healthy progress what I believe, agree or not? In the year 2012, there was a point where there was no tiger left in Panna National Park. 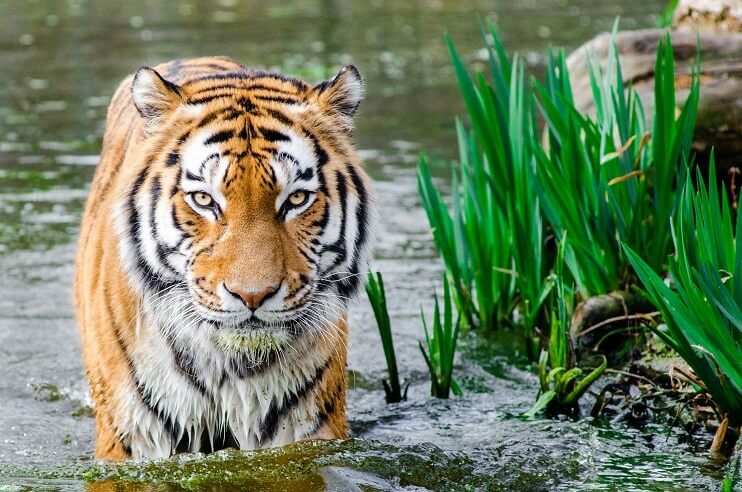 However, due to tiger conservation, today, it serves as the dwelling land of around 400 tigers. Madhya Pradesh is also home to the famous for Ken Gharial Sanctuary which houses the endangered Indian gharials. The sanctuary served as the breeding home of these enthralling reptiles. 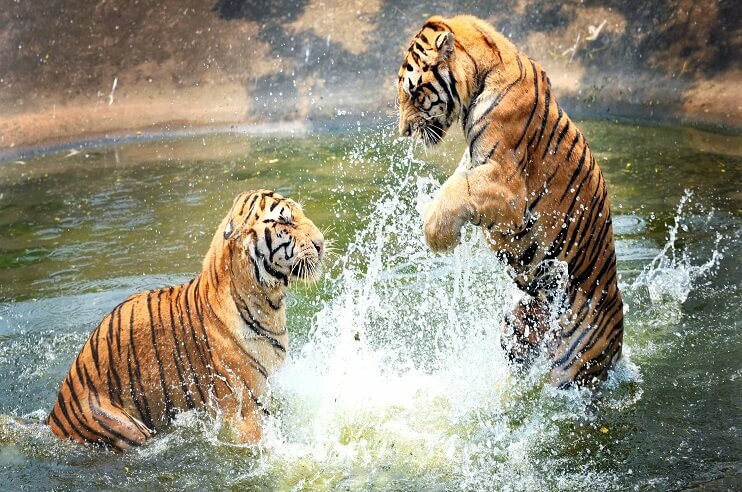 So, these are some amazing facts that you must know if you are planning a wildlife tour to Madhya Pradesh. And if not making a trip, a piece of extra knowledge is always an asset. However, there are numerous such unique facts about MP wildlife that obviously can’t be covered in a single blog.